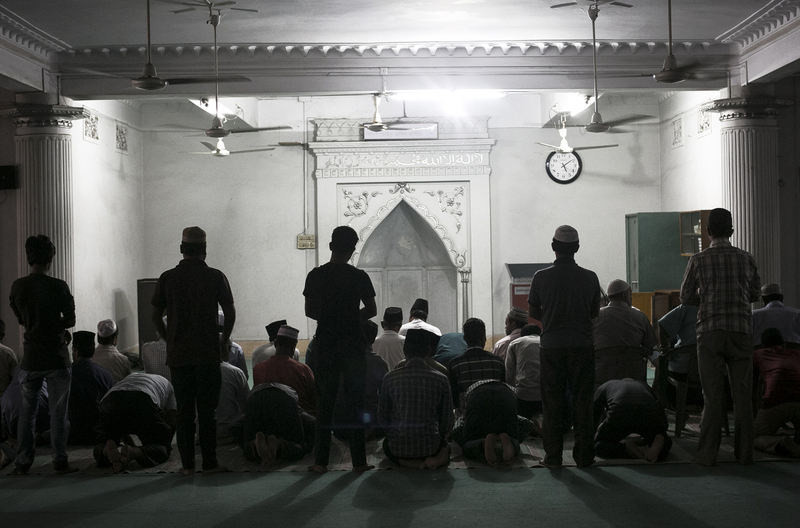 People worship at a Ahmadiyya mosque in Dhaka, Bangladesh. On December 25, 2015, a suicide bomber attacked an Ahmadiyya mosque in the Rajshahi district, killing the bomber and injuring 3 more. ISIS claimed responsibility.